This blog introduces the seventh step, of the “10-steps to retail success“, Customer Engagement. 10-steps to retail success is a process / methodology I’ve developed for my 1-2-1 mentoring clients. Over the coming weeks / months I’ll be introducing each step with a little more detail. When I talk or write about customer engagement I break it down into a 4-step cycle which can create an upward spirial. If you know your customers, as you will from step 3, ideal customer, then you’ll already have all the right product (step 4, range planning) at the right price (step 5, pricing and promotions) and in the right location (step 6, channel and location). Step 8, supply chain, will address the issue of availability. So, with this in mind you need to make sure you TELL your potential customers where you are and what you’ve got for them. How? Well, you need to BE WHERE YOUR CUSTOMERS ARE! Although this time I mean in terms of media (online or off line) – so make sure that you get visibility in all the right places and use the right mix of media to attract more of the right customers. This process should almost happen naturally and because you’ve delivered on all your promises (think about my positioning mantra from step 2!) The store or ecommerce site is merely there to facilitate the customers choice to purchase (because you’ve got the right product, prices and availability) and to capture the transaction. Remind yourself and your staff, if a customer was to leave empty handed you’ve failed them – they wanted to shop and were unable to buy… so it’s not about selling at all (which many people dislike) it’s all about enabling the customer to buy easily! This happens because you consistently deliver on your service promise, you build loyalty by doing a great job and customer keep coming back because you make shopping a simple process and a pleasurable one. 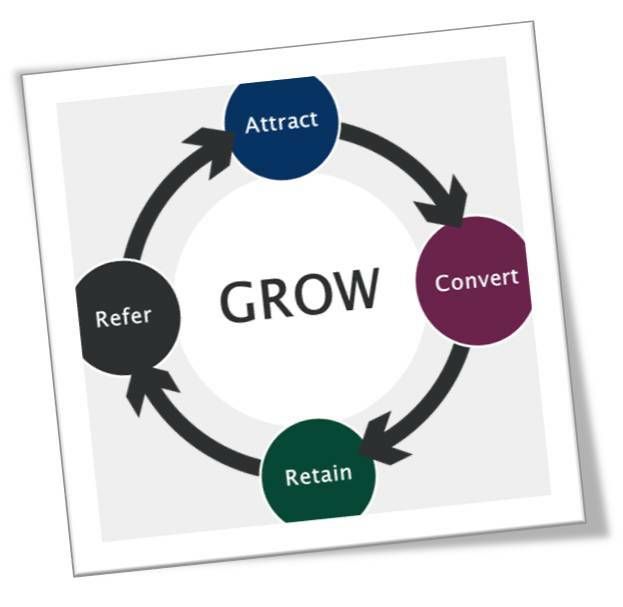 This is when your customers start to recommend and refer you to their network – this aspect creates the “upward spiral” effect of the customer engagement cycle because once customers reach the advocacy position they essentially contribute to the overall attraction process. In the next blog about the 10 steps to retail success I’ll be introducing step 8, Supply Chain. If you can’t wait then don’t forget that I’m also offering the “Be a retail champion by next year” programme, which includes 52 FREE weekly retail tips by email. This entry was posted in 10 steps to retail success, Customer commitment, customer engagement, Increasing Sales, robust repeatable processes, saleable business, scalable, Service and tagged customer advocacy, customer attraction, customer conversion, customer engagement, customer retention, customer service. Bookmark the permalink.